Losses of the proteins, vitamins, and other nutrients are usually much smaller when plants are preserved as grass silage than when they are made into hay. Losses of nutrients occur in haymaking at the time of harvesting, and during the curing and processing period. Periods of wet weather are quite common in the humid areas during the haymaking period. When such conditions prevail, losses in nutritive value are likely to be heavy as a result of leaching by rain and bleaching by the sun. losses in nutritive value in making hay may be as low as 15 per cent during favorable weather for curing and as high as 50 per cent or more when the weather is unfavorable. Most of the loss in feeding value is due to the shattering and loss of the leaves. 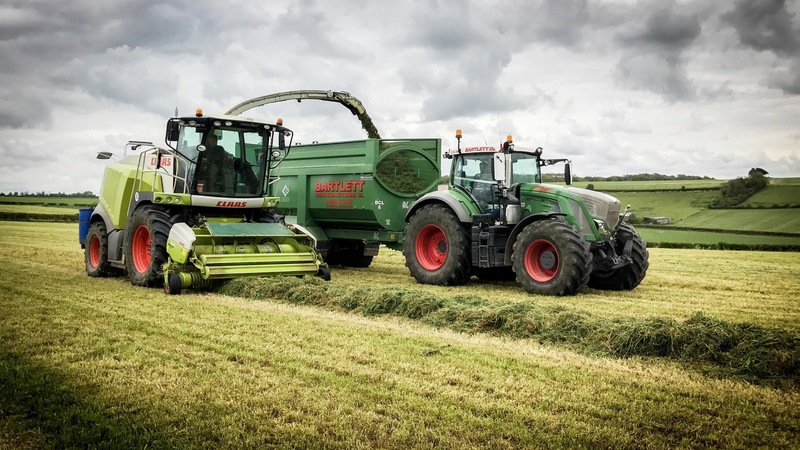 An excessive loss of leaves during haymaking is particularly unfortunate because they contain approximately 70 to 75 per cent of the protein and about 90 per cent of the carotene or vitamin A present in the forage. However, even with grass silage there is likely to be some loss in nutritive value because of spoilage in the silo. Fortunately, there is no feed for the loss to be excessive if the silage is properly made. Livestock can be induced to consume forage preserved in the form of grass silage that they will refuse to eat as hay. Thus, forage of poor quality is likely to be utilized more fully when preserved as grass silage than when made into hay. It is well to remember, however, that a high quality of grass silage cant be made from forage of poor quality. During the early part of the season, pastures may grow faster than cattle can make the most effective use of them. The forage often grows away from the cattle at that time of the year. Cutting and ensiling the forage reduces waste and preserves it for use later on when pastures become short and unproductive. Such regrowth as occurs will be more palatable and nutritious for later grazings. Grass silage can be made when weather isnt favorable for making god hay. Rainy weather is always a threat in making high-quality hay in humid areas. Bright, sunny weather is necessary for rapid curing of the hay. Good grass silage can be made during periods which arent suitable for curing hay. Thus the kind of weather that prevails is a factor of much less importance in making grass silage of good quality than in making hay of superior nutritive value. Partially cured hay should not be made into grass silage in the event of unfavorable weather. Such forage makes poor-quality silage as well as poor hay. For best results, the farmer should make definite plans to preserve a portion of his hay crop as grass silage rather than attempt to salvage the forage as grass silage after it has been cut for hay. Growing corn on sloping land or on light soil often presents a serious water and wind-erosion problem. When forages are grown under these condition and used for grass silage, more of this type of land can be kept under a protective sod cover. Furthermore, the legumes, when grown alone or in mixture with grasses, add nitrogen to the soil and improve the tilth. Growing forages for silage is an effective means of improving and conserving the soil, and as such, their use for this purpose is an important consideration in grassland farming. Many weeds are controlled or weakened when forages are harvested and made into grass silage. Furthermore, weed seeds that are ensiled with the forage are destroyed during the fermentation process. The weeds in the ensiled material are more readily eaten by livestock than when they are present in the hay. Considerably less space is required to store grass silage than to store loose hay. 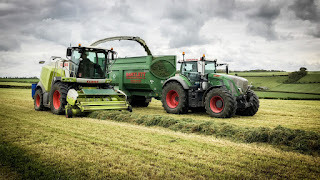 If equal amounts of dry matter were to be stored, it would require three to three and a half times more space for loose hay and almost twice as much space for baled or chopped hay as for grass silage. Furthermore, where adequate silo space isn't available. A good quality of grass silage can be made in pits, tranches, and stacks without excessive loss from spoilage. When weather conditions are unfavorable, hay is sometimes stored before It is well cured. Such hay may heat excessively, thus reducing its feeding value; or at times, spontaneous combustion may occur. On the other hand, when the forage is preserved as grass silage, the fire hazard is eliminated entirely. The somewhat lower palatability of the silage compared to that made from corn. 0 Response to "Advantages and Disadvantages of Grass Silage"